The aim of this study was to provide contemporary information on injury rates in an elite and sub-elite netball population and to explore the relationship between lower body stiffness and lower body injuries. One elite and two sub-elite teams of female netballers (n = 29) performed the vertical hop test to assess active lower body stiffness (Kvert) and myometry to assess quasi-static stiffness. Lower body injuries were monitored via self-reporting and liaison with physiotherapists. Twelve lower body non-contact injuries were sustained by 10 players, equating to 11.29 lower body injuries per 1,000 exposure hours. The most commonly injured sites were the calf (33%) and ankle (25%). 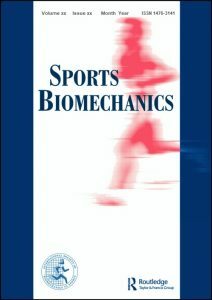 No significant differences between Kvert of injured and non-injured players were reported, however, injured elite players recorded significantly higher season mean quasi-static stiffness in the soleus (p = 0.037) and Achilles (p = 0.004) than non-injured elite players. Elite and subelite netball players recorded a higher injury incidence than previous reports of injuries in recreational netballers. Within the constraints of the study, relatively high stiffness of the soleus and Achilles appears to be related to lower body non-contact injury incidence in female netballers, particularly at the elite level. These results provide a basis for development of injury prevention strategies. This study has provided a contemporary analysis of injury incidence rates in high level netball. The injury rates in the current study varied from previous reports based on recreational netballers, suggesting that elite and sub-elite netballers sustain more injuries than recreational netballers. Furthermore, the results of stiffness and injury analyses suggest that relatively high stiffness of the SOL and ACH is related to an increased incidence of injury, particularly in elite players. Given that stiffness is a modifiable mechanical component of the musculotendinous unit, interventions targeting a reduction in stiffness could be sought to minimise the risk of lower body injury incidence in at-risk athletes.